Intel Corp. said Thursday it is buying computer-security software maker McAfee Inc. for $7.68 billion. It's a marriage that sprouted from Silicon Valley's roots. Two tech companies based in Santa Clara are becoming one. Intel Corp. said Thursday it is buying computer-security software maker McAfee Inc. for $7.68 billion as the chip-maker adds to its arsenal of tools to serve an increasing array of Internet-connected devices, including mobile phones. 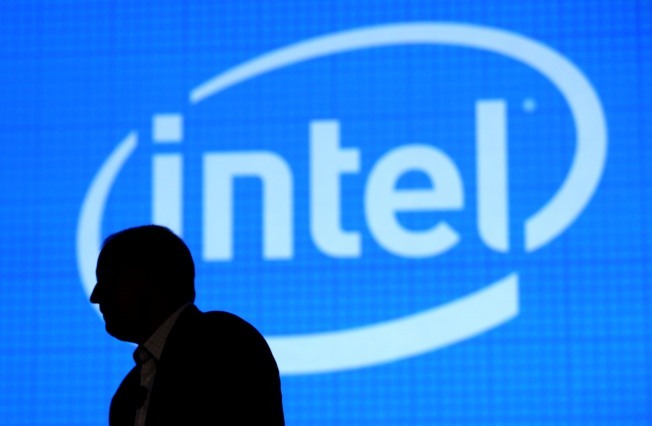 It's Intel's biggest purchase in more than 10 years. The $48-per-share price represents a 60 percent premium over McAfee's Wednesday close of $29.93. McAfee shares surged 58 percent after the deal was announced Thursday to hit $47.42 in premarket trading. Intel shares slipped 2.5 percent to $19.11. Intel said security is now a fundamental component of online computing, but today's approach to security isn't adequate for the growing availability of Internet connections on mobile phones, medical devices, ATMs, automobiles and elsewhere. The industry needs a new approach that combines software, hardware and services to meet tomorrow's needs, the company said. "With the rapid expansion of growth across a vast array of Internet-connected devices, more and more of the elements of our lives have moved online," Intel CEO Paul Otellini said. "In the past, energy-efficient performance and connectivity have defined computing requirements. Looking forward, security will join those as a third pillar of what people demand from all computing experiences." Both boards of directors have unanimously approved the deal but it still requires McAfee shareholder approval and regulatory clearances. McAfee is one of the world's largest security technology companies with about $2 billion in revenue last year. Intel has made a series of recent software acquisitions including companies that specialize in gaming, visual computing, embedded device and machine software. Last month, Intel Corp. reported its largest quarterly net income in a decade as the chipmaker benefited from a stronger computer market and more sophisticated factories.